If you are looking for a reliable company that can provide best lice removal services in Houston, The Lice Place is here to help. We are a well-known name in Texas to provide fast, effective and safe lice treatment services with 100% results. We have treated thousands of children and adults with our natural treatment method. Contact us right now if you need Houston Lice Removal Services for your children or family. The Lice Place offers a natural way of lice removal. Our treatment involves manual removals, professional combing and use of natural lice removal products. We have developed our unique lice treatment method and products with our years of experience and hard work. The Lice Place is the leading lice treatment franchise in Texas. We have been working in the industry for many years. With us, you will not only get clinical treatment but will also receive professional guidance on several preventive measures. We are here to keep your family lice free today and for years to come. We have created a number of lice removal products that are 100% natural and offer safe defense against lice infestations. These products can be used at home and can be ordered online at affordable rates. Call us today at (281)578-5423 if you want to know more about these products. Our lice treatment products are formulated with peppermint, Neem oil and other natural ingredients. These components have already been proved to be natural lice repellants. This is why all TLP products are safe to use on a regular basis. Whether you need a lice removal shampoo, conditioner, mousse or spray, contact us right away to receive them in the minimum time possible. 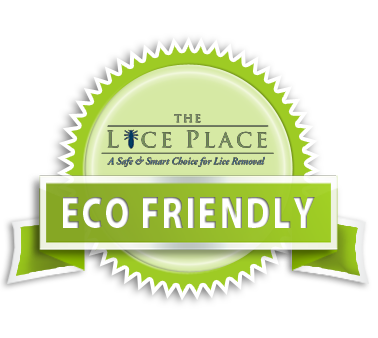 The Lice Place is famous throughout Texas as the most reputable Lice Removal & Lice Treatment Clinic. You can also benefit from our specialized Houston Lice Removal Services by receiving our one-time treatment and professional guidance to get rid of lice and nits. Call us to get your appointment scheduled. Despite what you may believe, it is possible for you and your child can live happily ever after such a stressful event. All you have to do is call us at The Lice Place for a Houston Quality Lice Removal and Treatment Clinic! Head Lice treatment and removal is available in Aldine, Alvin, Angleton, Baytown, Bellaire, Brazoria, Channelview, Cleveland, Clute, Coldspring, Conroe, Dayton, Deer Park, Dickinson, Freeport, Friendswood, Galena Park, Galveston, Hedwig Village, Highlands, Hilshire Village, Houston, Humble, Hunter’s Creek Village, Jacinto City, Jersey Village, Katy, Kemah, Kingwood, Lake Jackson, La Marque, La Porte, League City, Liberty, Livingston, Magnolia, Memorial Villages, Missouri City, Montgomery, New Caney, Pasadena, Pearland, Piney Point Village, Porter, Richmond, River Oaks, Rosenberg, Santa Fe, Seabrook, Shepherd, South Houston, Spring, Stafford, Sugar Land, Tamina, Texas City, The Meadows, The Woodlands, Tomball, Waller, Webster, West University, Wharton, and many more.